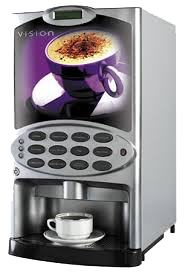 The Astro is the new hot & cold drinks machine by Necta ideally suited to medium or larger sized locations. With its curved front door and backlit photographic panels, Astro suits the most design conscious workplace – with the added advantage of a compact footprint. With a choice of six models and a cold drinks option, Astro offers a wide choice of drinks to suit every palate. 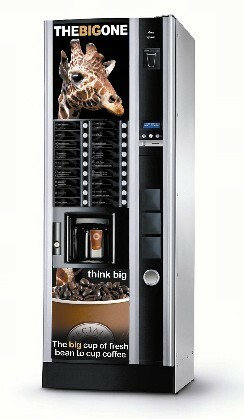 The Big One is the new 360ml large cup hot drink machine manufactured by Necta. It is the first of a new bread of vending machines, aimed at sites where customers have access to the high street. It allows businesses and workplaces to directly complete with the coffee-to-go retailers. Its unique design, advanced technology and functionality make it practical and easy to use. The funky giraffe branding also means it’s unlikely to be missed. With a choice of two models, The Big One promised coffee house quality, with the high street experience and vending flexibility. The 300 12oz paper cup capacity makes it suitable for a variety of locations and it is available in three different configurations – two different fresh bean coffee versions and one with fresh brew tea. Perfect for small business. Utilising the full range of Lavazza capsules. It also has a powerful steam arm for preparing the smothest latte, cappuccino or creamy macchiato. 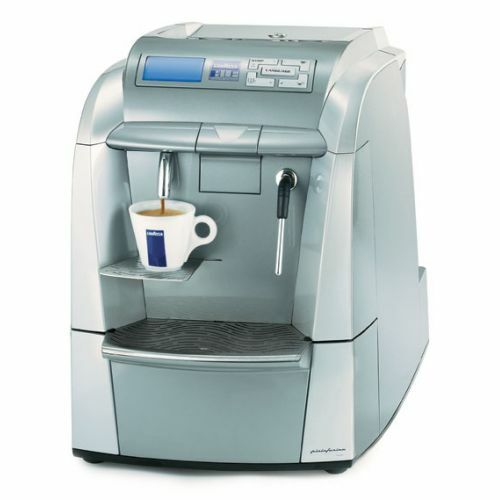 Whatever your application, with Lavazza Blue you can be guaranteed a superb, cost effective coffee, any time, any place! Ideal for Larger offices and Boardrooms. Stylish and efficient with a simple one-touch selection offering a choice of 7 incredible hot beverages including an intense espresso, a creamy cappuccino and a delicious smooth mokkaccino. Also features a hot water option. 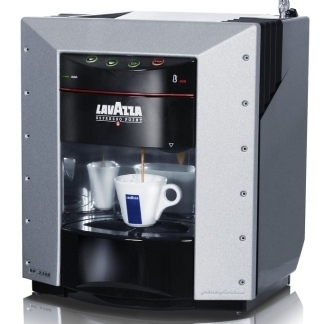 The Lavazza Espresso Point Cappuccinatore is the perfect complement to the Dosatore. Both machines share identical Pininfarina design and dimensions. The look is stunningly elegant and modern, but completely functional at the same time. The Cappuccinatore makes the job of frothing milk for authentic cappuccinos completely automatic. Simply position the milk pitcher (or the serving cup) on the dispensing tray with the Teflon-coated wand submerged in the cold milk, and press one of the pre-set timer buttons (small cap, large cap, or free dose). The milk will start heating and foaming up with a wonderful texture within seconds, and the machine will then stop automatically. The addition of this unit to the Dosatore makes it possible to simultaneously steam milk and brew espresso, a feat normally accomplished with far more expensive and difficult to operate commercial espresso machines. The Stylish Vision Xtra range of table top beverage systems offers the perfect ‘front of house’ solution for restaurants, hotels, bars and offices. The two models available – Vision Xtra 300 & Vision Xtra 400 – provide customers with a comprehensive drinks choice of either 9 or 11 selections. 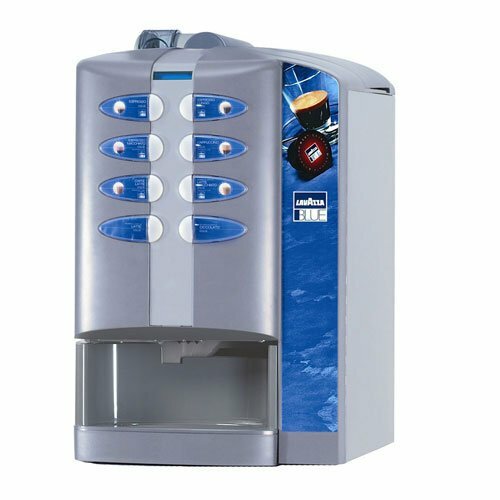 Outstanding build quality and proven reliability are inherent in Vision Xtra beverage systems and when combined with quality ingredients, good service and filtered water, they provide high quality drinks, satisfied customers and increased profits. So select your favorite, push the button and enjoy the experience. For sites where no counter top is available an optional base cabinet can be provided, perfect for providing storage space for ingredients. Base cabinets are available in two sizes to accommodate Vision machines with and without a condiment stand or payment module. The Genesis is a tabletop coffee vending machine for quality coffees and hot drinks. Available in different coffee drink options – instant, single freshbrew (coffee only) double fresh brew (tea and coffee) or bean to cup drink. The Brio 3, 8oz, is able to offer the selection, service and quality of the most sophisticated coffee machines in a remarkably compact unit. The Brio automatic version has a capacity of 250, 8oz cups. Simple to install, operate and service, Brio’s modern and discreet design helps it blend in perfectly with all surroundings. But that’s not all; Brio can be tailored to meet your operational, payment and aesthetic requirements. Brio 3 is available in espresso and fresh brew versions. 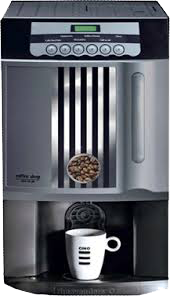 Quality guaranteed International coffee roasters such as Nestlé, Tehibo Jacobs and many others worldwide have achieved outstanding success with the CINO XS range making it the most successful machine in its class. 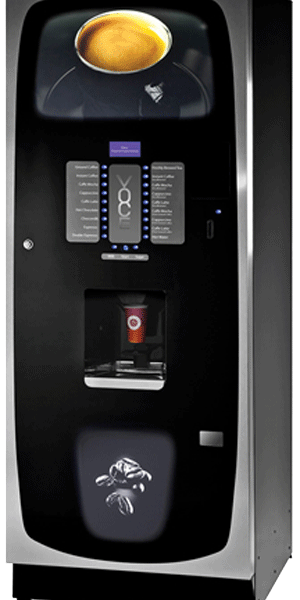 Voce is a truly versatile hot beverage solutions for all locations, delivering an unrivaled choice of beverages from instant, fresh brew, roast & ground and bean to cup models, with the option to include chilled still and sparkling drinks. Voce’s modern design will enhance any location.The flat glass door provides the highest quality look and feel and with illuminated graphics panels is certain to enhance consumers to try the quality beverages on offer. Eco Friendly Carbon neutral option available.